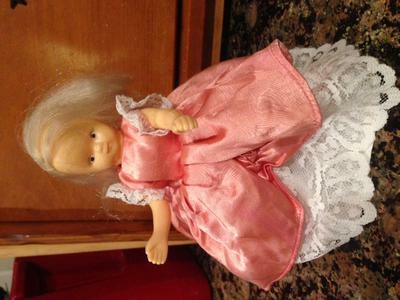 What kind of doll is she?? 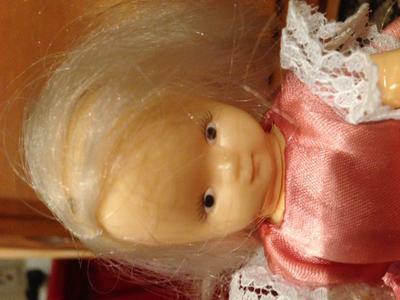 I found this sweet doll, but can't find another like her on Ebay, or anywhere else. She is six inches tall, and has a hard plastic body. Her hair is glued on at the part. Her eyes are painted on, and she has a straight smile. 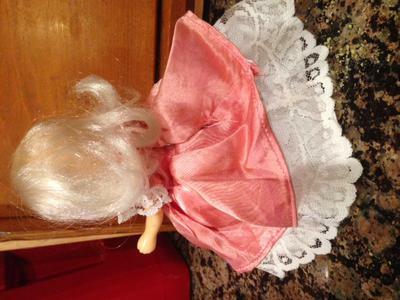 She has a fancy pink dress with an attached petticoat. She has on Bloomers, with painted on black slipper shoes.